The band came to be after the break-up of Gerdus and Buckle's previous band, Sondag Sensasie. A week after the split the two joined up with Teejay and Odendaal to form what is now known as New Holland. This was March of 2007. Their debut performance was at the Groot Gees Rock Fees II in Stilbaai, where they wowed the crowd with an explosive sound and addictive hooks. The show was part of a tour known as Die MK Tweede Avontoer, a DPK-initiative. After the very successful tour the band was signed onto DPK management and has since played extensively. This was March of 2007. Their debut performance was at the Groot Gees Rock Fees II in Stilbaai, where they wowed the crowd with an explosive sound and addictive hooks. The show was part of a tour known as Die MK Tweede Avontoer, a DPK-initiative. After the very successful tour the band was signed onto DPK management and has since played extensively. By May 2008 New Holland had entered Sunset Studios to work with legendary engineer, Jurgen von Wechmar. 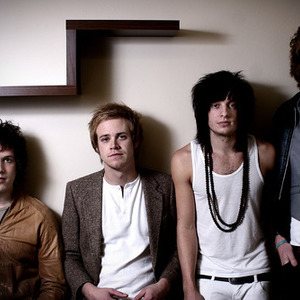 From these sessions their brand new single, "Shine", was released, with a full album set to be finished by September 2008. Their first national tour was featured on MK's Top Ten, with the band doing an AMP and Studio 1 while on the Ubuntoer II: Rock Against Racism. They also played at the launch of MK's Magazine 'Bruce Lee'. The members of New Holland describes their sound as "music to have a good time to". With chainsaw guitars riding the rhythm section's rolling thunder, the stage is set for soaring vocals and harmonies. It is feet-stomping rock and roll with pop sensibility to boot.